De Hoop, Western Cape, South Africa, August 2008.. 09 Dec 2011. Robert Anderson. © Robert Anderson (anderson@botzoo.uct.ac.za). Botryocladia madagascariensis G.Feldmann De Hoop, Western Cape, South Africa, August 2008. Published in: Feldmann, G. (1945). Révision du genre Botrycladia Kylin (Rhodophycées-Rhodyméniacées). Bulletin de la Société de l'Histoire Naturelle de l'Afrique du Nord 35: 49-61, 5 figs. Furnari et al. (2003) cite the authority for this species as Feldmann-Mazoyer as do Serio et al. (2006: 137). Type locality: near Irakoka, Madagascar (Silva, Basson & Moe 1996: 353). Tsiamis, K. & Verlaque, M. (2011). 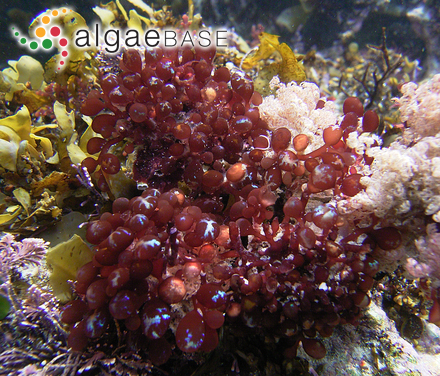 A new contribution to the alien red macroalgal flora of Greece (Eastern Mediterranean) with emphasis on Hypnea species. Cryptogamie Algologie 32(4): 393-410. Wilkes, R.J., McIvor, L. & Guiry, M.D. (2006). Vegetative morphology and rbcL phylogeny of some members of the genera Botryocladia and Irvinea (Rhodymeniaceae, Rhodophyta). Phycologia 45: 481-494. Accesses: This record has been accessed by users 5161 times since it was created. Turna, I., Cormaci, M. & Furnari, F. (2000). 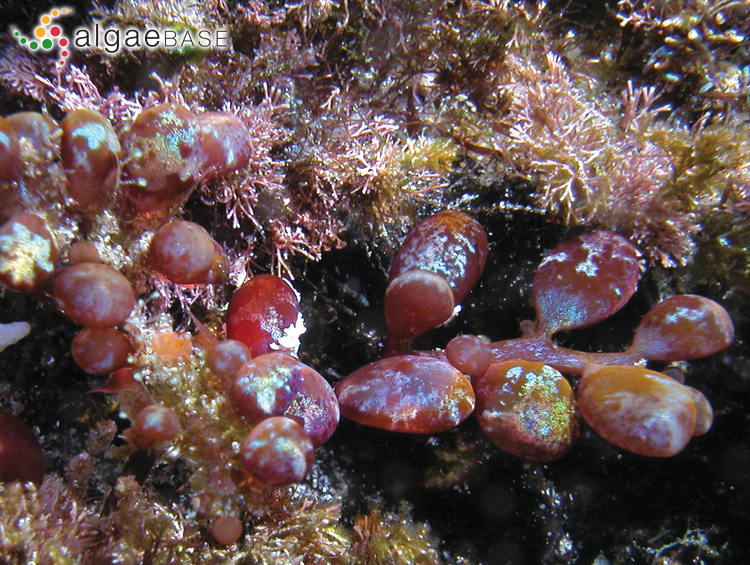 First record of Botryocladia madagascariensis G. Feldmann (Rhodymeniaceae, Rhodophyceae) from the Gulf of Antalya (Mediterranean coast of Turkey). Plant Biosystems (Giornale Botanico Italiano) 134(1): 111-115.